We are reputed as one of the staggering Dried Tomato Powder Manufacturers and Suppliers in India. 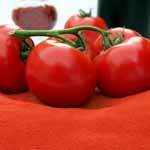 The Organic Tomato Powder is manufactured using premium quality tomatoes to ensure maximum satisfaction to the clients. 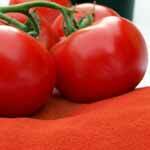 The Tomato Powder is processed avoiding the use of artificial colors and taste enhancers. Additionally, customers are eased with the availability of the Organic Tomato Powder hygienically packed and at the most affordable prices.